In the economic fabric of India, Small and Medium Enterprises (SME) have a significant role to play. A sector with an assortment of 6,000 products, contributes to an approximate 8% of the GDP in India and facilitates 45% of industrial output and 40% of exports from the country. This seemingly small yet vibrant and dynamic sector holds the potential to accelerate industrial growth and is truly a facilitator and leading partner in the process of inclusive growth for India. But, somewhere down the line these enterprises face challenges that not merely stunt their growth but even clip their wings while on their road to success. India falls short in boosting the advancement of SME’s through financial aid. Why? One of the reasons we reckon is that mere 6% of these enterprises are registered with the Registrar of companies, while 94% fall under the category of unregistered enterprises. Handling various processes such as bulk buying, circulation of working capital, handling finances, customer satisfaction, compliance related activities, handling purchases etc prove to be cumbersome for SMEs when all the activities have to be dealt with together. Typically these are businesses which run on low investments. A sound cash flow and good deal of working capital can encourage an entrepreneur to keep his firm afloat. So how does an entrepreneur ensure his money is circulating well? Another powerful medium of keeping product costs at its lowest, is through bulk buying of inventory and goods used in production. If your business is stable and you have the foresight to plan ahead keeping in mind product pricing, seasonal requirements and ensuring product availability to meet demand constantly, then long-term contract with vendors is apt. 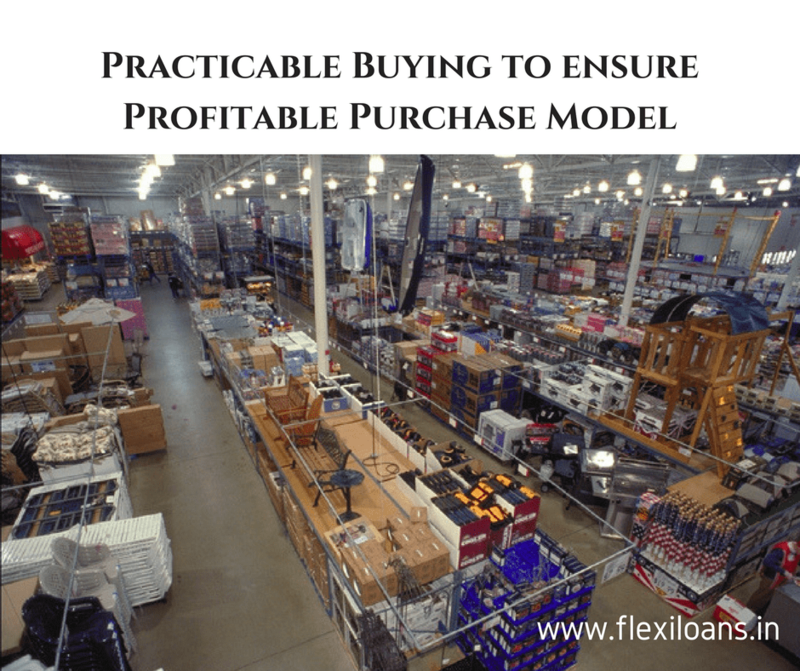 A retailer could crack a deal for constant supply of material for a couple of years at a competitive price. Payment terms could involve instalment options, either quarterly or half-yearly, ensuring your flow of funds are controlled. A well-planned and executed deal could garner excellent profits. Another avenue to bulk buying is through middlemen or agencies who are linked to a multitude of SME’s. They group their specific requirements to crack volume based deals with wholesalers. This tie up and constant business results in cutthroat competition for business by wholesalers. Today, with current access and connectivity online, a number of platforms have emerged which promote bulk buying through a group method. Couple of enterprises with a common requirement of material or goods, club together to strike a bulk deal with wholesalers. The outcome, elimination of middlemen, juicier deals for the retailer and higher sales turnover for wholesaler. All the above scenarios do include blocking of working capital. And MSME’s as we know face difficulties in that zone. The only option that remains is to take a loan to increase their power of spending to derive its benefits. But then again, banks loans charge interest rates as high as 10-19% on business loans. This dilutes the value of the discount received, even if it the average discount is as high as 8-10% as in the scenarios above. The only medium to make the deal profitable for a MSME is the availability of loans at lower interest rates. This gap in demand was noticed by some FinTech start-ups who with their expertise in technology and varied allies in the lending space have made business loans beneficial. From availing loans in couple of days to lending interest rates as low as 1.5-3% per month, which is around 18% per annum. However after considering the negligible transaction costs and ease of obtaining loans within 48 hours, these FinTech companies have proved to be a boon to the MSME world. Getting such short term loans from banks without collateral is cumbersome to say the least. Now entrepreneurs can be unperturbed and confident when discussing large deals. Today, there are numerous platforms that initiate bulk buying among wholesale and retail markets. The requirement still remains the same, need for a hefty working capital. SME’s continue to face challenges, both financial and otherwise, lengthens their path to success. Acknowledging this multiple FinTech start-ups have ventured into the lending space for MSME’s. Organizations like FlexiLoans, which provide working capital loans to these small enterprises, boasts of quick and easy disbursal of loans within barely 48 hours. It is refreshing to see the paradigm shift in the way entrepreneurs are now approaching business ideas, with certainty and confidence. Bearing in mind these advancements MSME’s now have a much brighter future and will be leading partners in the process of inclusive growth for India.